At Premiere Corporate Events, we deliver customized programs for Fortune 1000 companies that connect their employees and customers with the passion and excitement of the greatest athletes, events, and unforgettable moments in sports and entertainment. 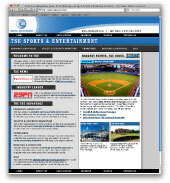 Founded in 1996, Premiere Corporate Events (formerly TSE Sports & Entertainment) has established a reputation for its consultative approach to corporate event management services by working with each of its clients to clearly understand their specific brand, marketing, incentive, and sales objectives to maximize ROI and ROO. Its commitment to first class experiences, quality service, and client execution has resulted in its consistent recognition in Promo Magazine "Top 100 Promotional Agencies", and many publications nationwide including The Wall Street Journal, USA Today, The New York Times, CNN, Entrepreneur Magazine, and others. For over a decade, Premiere Corporate Events (formerly TSE Sports & Entertainment) has been the industry leader and we have been committed to providing our corporate clients the very best solutions by utilizing our sports marketing experience, event experience, partnerships, and vast resources. We understand what it takes to position a company, its key customers, or a product at the Super Bowl, The Masters, the BCS Championship, the Final Four, the NBA Finals, the Daytona 500, US Open, Tribeca Film Festival, Daytime Emmy Awards, and more! Whether it’s a small corporate event for four to the World Series, developing a first class experience for six hundred guests at the Super Bowl, or entertaining more than one thousand corporate executives at The Masters, we are committed to excellence in all aspects of our corporate hospitality programs. From brainstorming to budget planning, to activation, and right through to post-event reconciliation, our team is with you every step of the way. Whether your company is building brand, driving sales, or launching a new product, Premiere Corporate understands what it takes to create an exciting promotion and leverage the power of sports and entertainment. From consumer sweepstakes, to gift-with-purchase programs, to sponsorship marketing campaigns, to multi-cultural initiatives our managers can customize a solution that is right for your company. How can I show my best customer I truly appreciate their business? How should I reward my employees for their performance? How can I get my employees to be more efficient? How can I drive more sales? How can I generate more leads? At Premiere Corporate, creating an incentive program for your employees or customers that delivers a once in a lifetime sports or entertainment experience is what we do. Our incentives team is experienced in helping corporations produce their desired results through building relationships with employees, customers, and clients one incentive program at a time. Successful meetings and conferences are vital to your company’s business objectives. The difference in making your sales and marketing meeting, conference, convention, or product launch truly memorable is found in the details. Our dedicated seasoned professionals recognize that each meeting is unique and pride themselves on executing flawlessly a tailored event, time and again. At Premiere Corporate Events, we design extraordinary and memorable corporate experiences. It only seems right to offer customized one-on-one services to match the individual needs of each company and client.